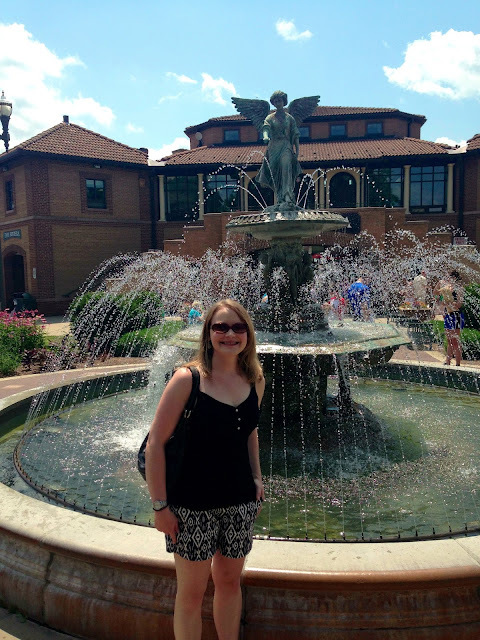 I've been meaning to keep up with my posts about Europe, but this summer seems to be flying by and here I am, two months after our trip, still blogging about day one! Good thing my mom and I journaled every night and I have detailed notes on what we did each day. On May 17th, we landed in Berlin, Germany at the Tegel airport. 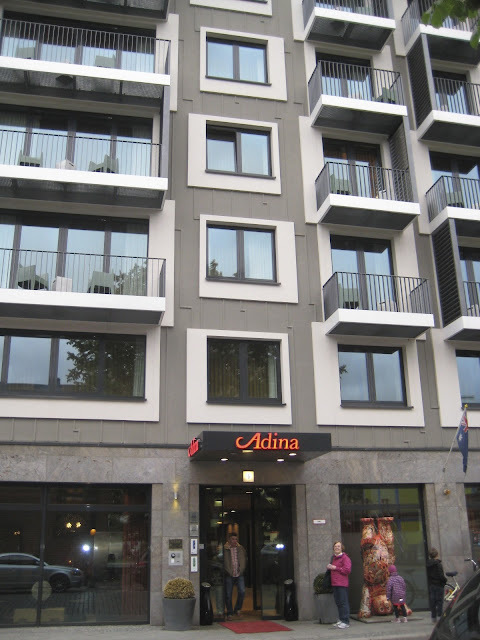 We were exhausted, but still managed to find our hotel, Adina Apartment Hotel Hauptbahnhof on Invalidenstrasse. 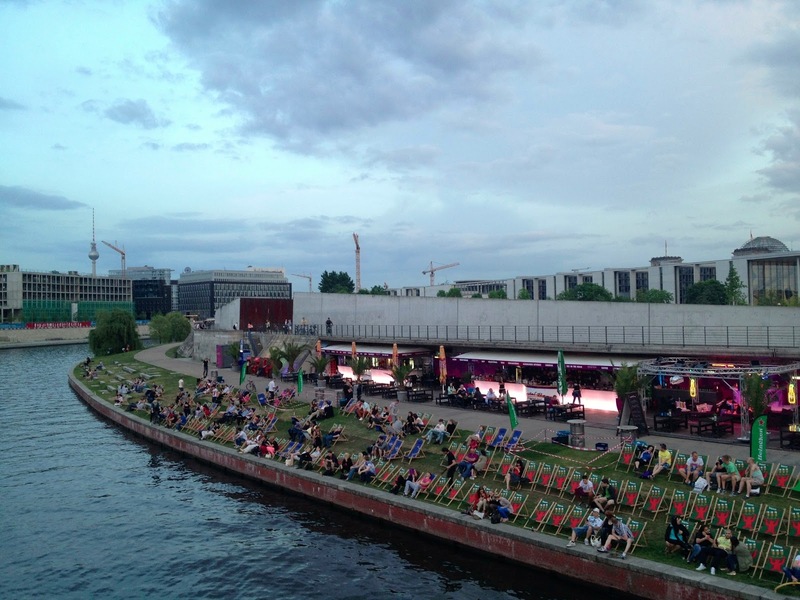 It took about 10 minutes to walk there, heading East away from the Hauptbahnhof (main train station). We landed in Berlin at 7 a.m., so by the time we got to the hotel, it was about 9 a.m. and we couldn't check in yet. We handed our bags to the hotel staff and went to explore what we could around the hotel without getting lost! Since this was my third time in Berlin, I quickly figured out where we were and knew my way around the city at that point. I am pretty good with directions, which helped us out a lot on the trip. 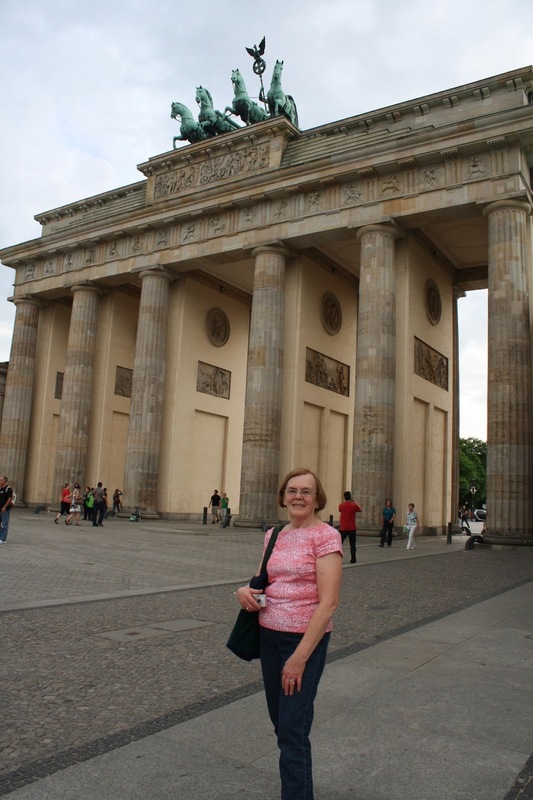 We walked down Friedrichstrasse and Unter den Linden and ended up near the Brandenburg Gate, but I didn't want to take my mom there until that evening. Instead, we explored touristy shops and ended up playing with the lovely cosmetics in Nivea. Mom made her first German purchase at Nivea too. I was already admiring the shoe stores and contemplating buying Birkenstocks. The picture taking began! I made mom pose by this bear. When we returned back to the hotel, we found that we could check in a little earlier than we anticipated (always a huge relief) and that our bags had already been brought upstairs to our room. Wow, we felt so pampered--I thought we'd be lugging them up there ourselves. We walked in to find a lovely and spacious room. I suspected it would be our most spacious of the trip and it was. We had a studio room, so it featured a kitchen, but no laundry. The full apartment rooms had washers and dryers. It was really nice to have a small refrigerator to be able to store groceries in! After settling in, we rested for two hours. I felt very nauseous and I knew my body just wanted to sleep. It was only the start of my nauseousness from jet leg, which I had never experienced before. We dragged ourselves out of bed to take showers and got ready to head out for dinner before going to the Reichstag for our scheduled tour time (I booked it in advance online). We stopped by the train station for dinner and got wraps. I also was able to finally contact Craig and my dad. I spoke to Craig via the Skype app and it didn't even feel like we were thousands of miles apart. He was so worried about me, but should have known that sometimes it takes a while to find wi-fi in Europe. Unfortunately, our hotel was fabulous, but didn't include free wi-fi in the room. 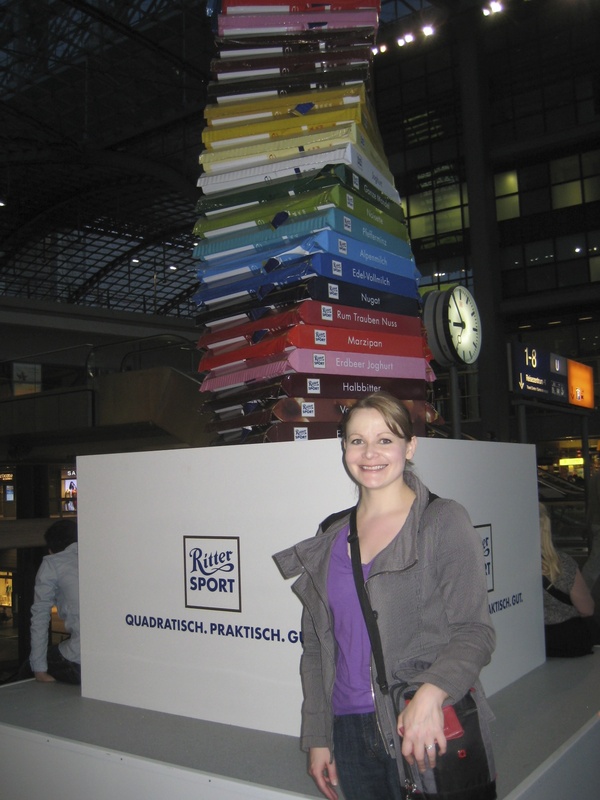 The train station had a Ritter Sport chocolate tower! After dinner, we walked by the Brandenburg Gate. That's the Adlon hotel with the mint colored roof--otherwise known as where Michael Jackson hung a baby out the window for the paparazzi to see. Here I am with the Reichstag in the background. 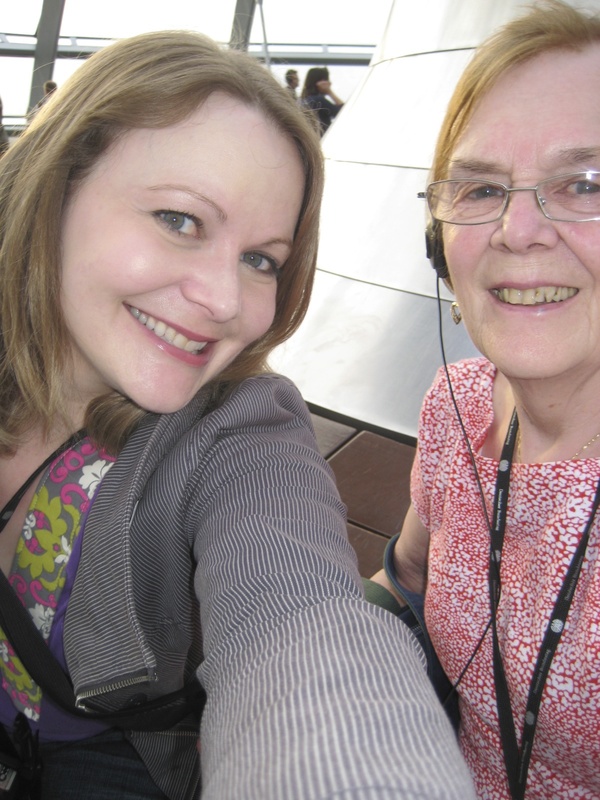 This was my third time in the Reichstag and I still learned a few things on the audio tour. On our walk back to the hotel, we passed this outdoor beer garden and it looked really cool! I was happy to hear Daft Punk's "Get Lucky" blaring. It's a song that we listened to before I left for Europe, so it reminded me of Craig and home. I tried not to think about how much I missed Craig already and focus on the fun I would have with my mom for the next two weeks. We walked so much our first day in Germany, so I ended the day with the item my mom purchased at Nivea--foot cream! I think we walked over 12 miles that first day and would continue to walk so many steps every day. I am trying to get back into taking more pictures every day, especially with my DSLR, so I thought I would share some of them and maybe I will continue this tradition weekly. I took many of these with my iPhone too, as it's constantly with me. I am copying shutterbean's idea and her blog post title. I look forward to seeing her everyday life posts each week, but she is a much better photographer than me. Hopefully I will get there with some practice! I had to capture the mystery of the week. We had a perfectly healthy and beautiful angel trumpet plant. On Sunday, Craig discovered that something destroyed it overnight and then pooped nearby. The plant's leaves are poisonous, so I hope what ate it didn't die as a result. Sunday is now mask day--for my hair and my face. I've been reading Madeline Albright's Prague Winter this week. I've learned so much about Prague and the Czech Republic. I only wish I had read it before I visited the city. I was in the mood for hard boiled eggs and have been taking them to work as a filling snack to have around 3 p.m. It does the trick! Tanzi received a new toy from his "grandparents" and was staring it down. 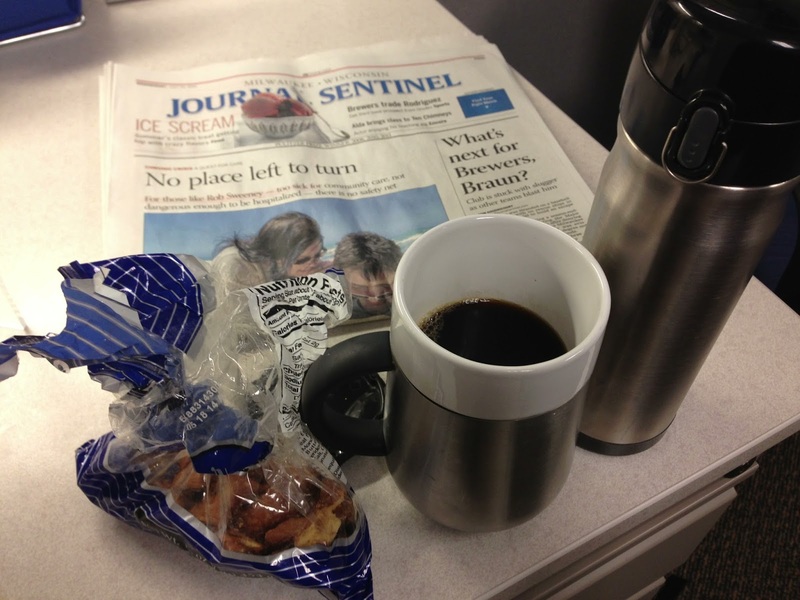 ﻿Coffee and snack break at work with the paper. 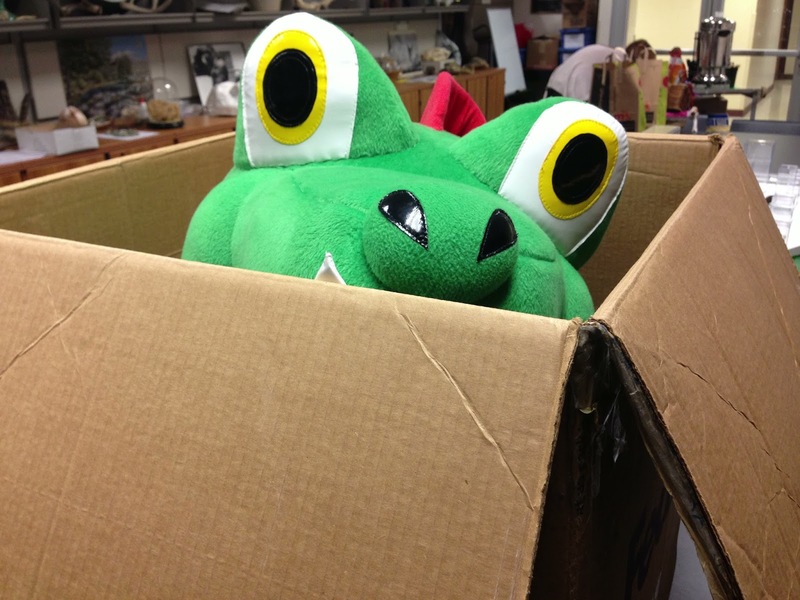 I don't receive it anymore, but a co-worker is nice enough to bring it in for me on Wednesdays. 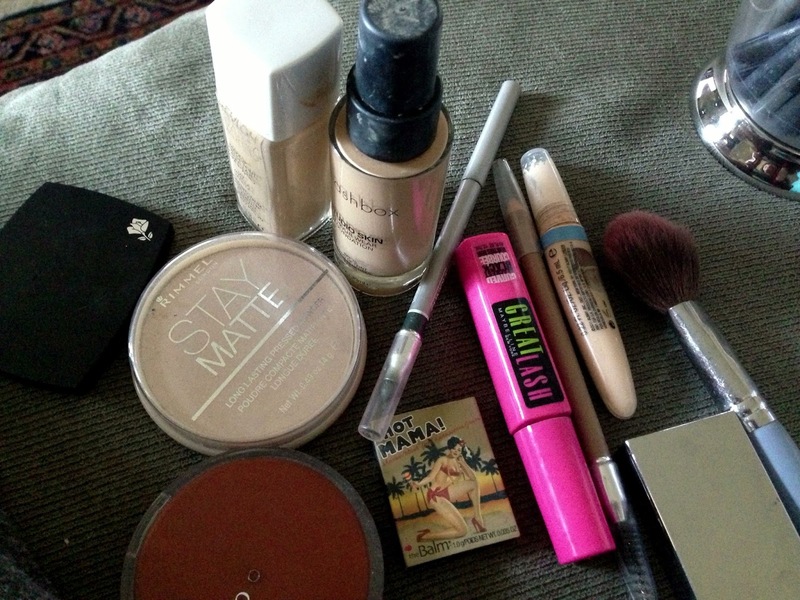 Makeup! I've been putting on while Tanzi is on my lap snuggling. I'm going to be sad when that Hot Mama! blush sample runs out. I may have to purchase it (I received it as a sample from Birchbox) or just try a new blush color all together for the fall/winter season. 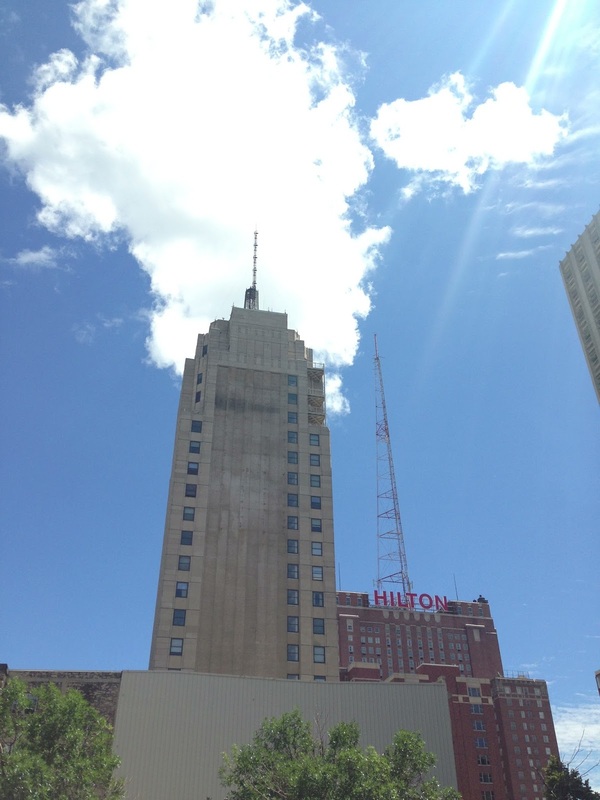 Downtown Milwaukee, as seen on my walk to Subway for lunch. I took "candy from strangers" this week folks. I didn't even think twice about it when I am normally such a skeptic. Coffee and orange juice were being handed out at my park and ride. I chose coffee--must have been the sleepy state of mind I was in. 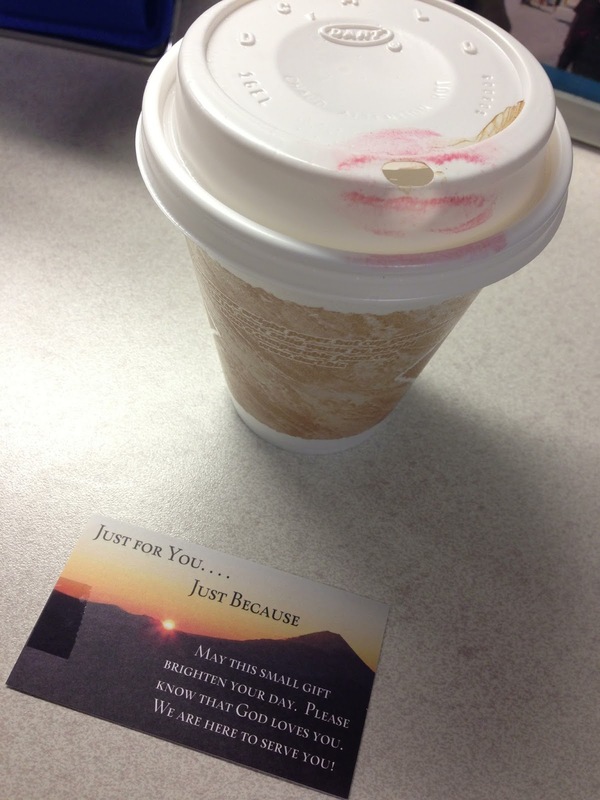 A local church was handing the drinks out and attached their business cards. Cat toys galore and a bored kitty. That's his scratching post knocked over. He's obsessed with it and sometimes gets a little too rough and it falls over. 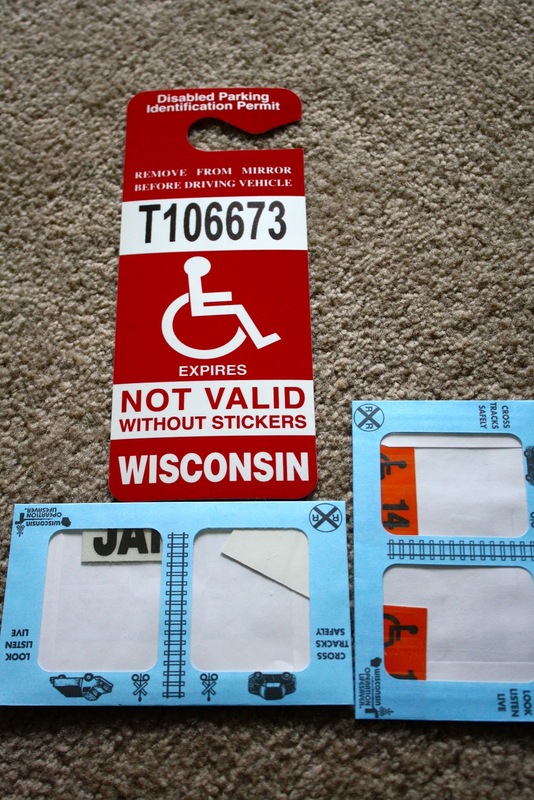 My disabled parking permit arrived in the mail. In less than three weeks, I'll be having ankle surgery and then on crutches for two months. Breakfast yesterday. I liked the Kind granola. It wasn't overly sweet. 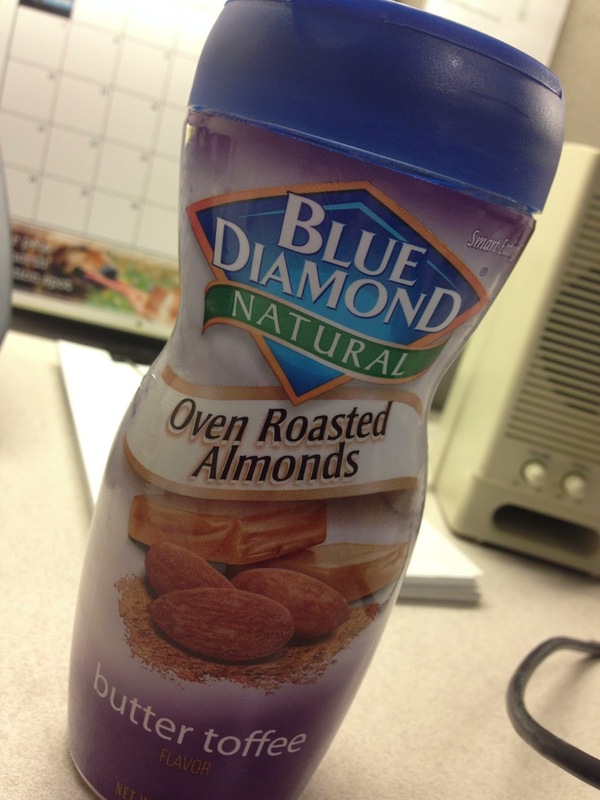 We love the TJ's Almond Milk. I decided I won't buy vanilla anymore since we both like plain unsweetened best. ﻿That was my week in a nutshell--Sunday to Sunday! Hope you're having a good weekend. 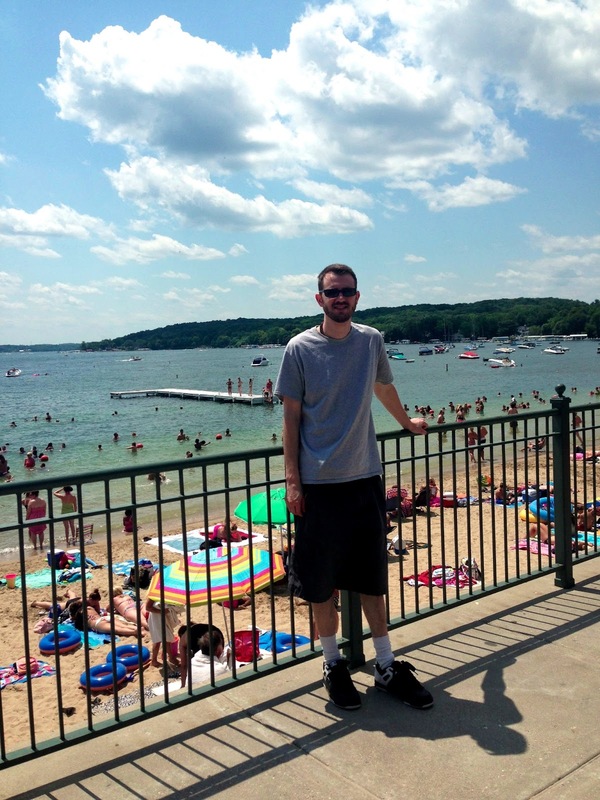 Craig turned 33 on Friday, so we headed to Lake Geneva today to celebrate. 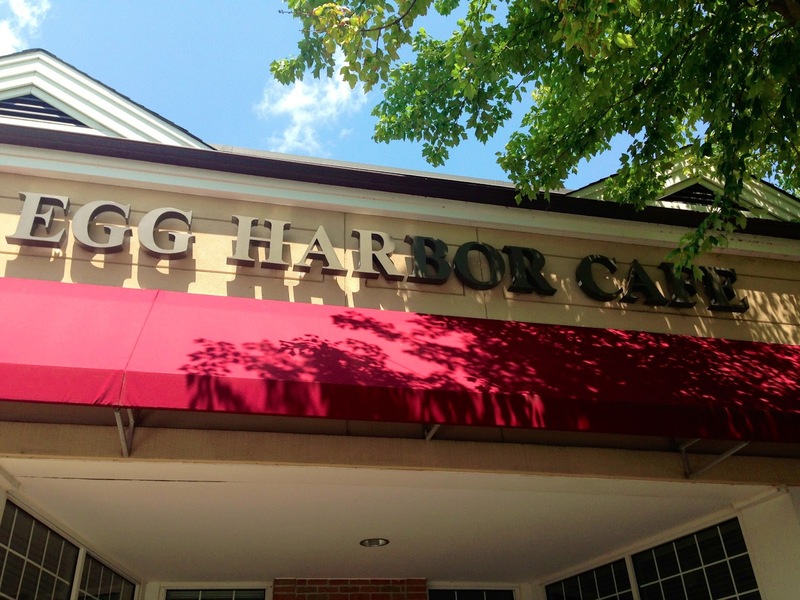 We started with lunch at Egg Harbor Cafe on Main Street. The reason Craig chose this (over Simple Cafe, where I wanted to go, but alas it wasn't my birthday celebration) place was their large menu. I actually had trouble choosing what to order because everything sounded so good. The interior was homey and cute. Craig got the Malibu Chicken sandwich and thought it was really good. I decided to go with the Egg Salad melt, which came with a side salad and potatoes. 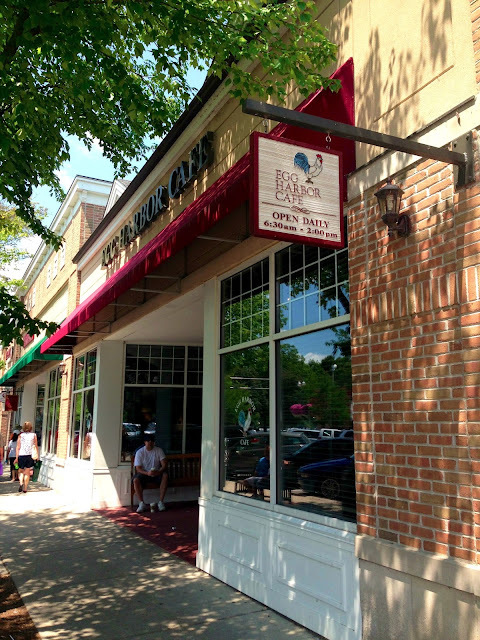 We don't make it Lake Geneva that often, but we would definitely go back to the Egg Harbor Cafe again! Next, we just wandered along the lake for a bit. It was hotter out than we expected, so we didn't last long in the sun. Craig is fascinated with Chicago-based prohibition era gangsters who often came to heavily wooded Wisconsin to hide out from the FBI. Famous gangsters such as Al Capone, John Dillinger, Baby Face Nelson and Bugs Moran all stayed at the French Country Inn on Lake Como, so we drove to see the hotel today. Lake Como was really pretty. Bugs Moran stayed here, at the Watersedge resort, just down the road from the French Country Inn. Although neither of us was hungry, we stopped by the frozen yogurt place in downtown Lake Geneva on our way home. 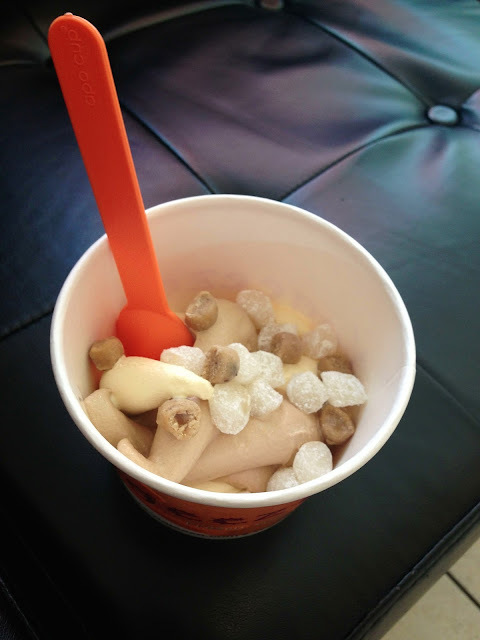 The texture and flavor reminded me of YoMama's frozen yogurt, so I was impressed by Yogeeze! I am quite picky about my frozen yogurt and often find other places disappointing. It's always great to take day trips to get a change of scenery and check out new restaurants and places! 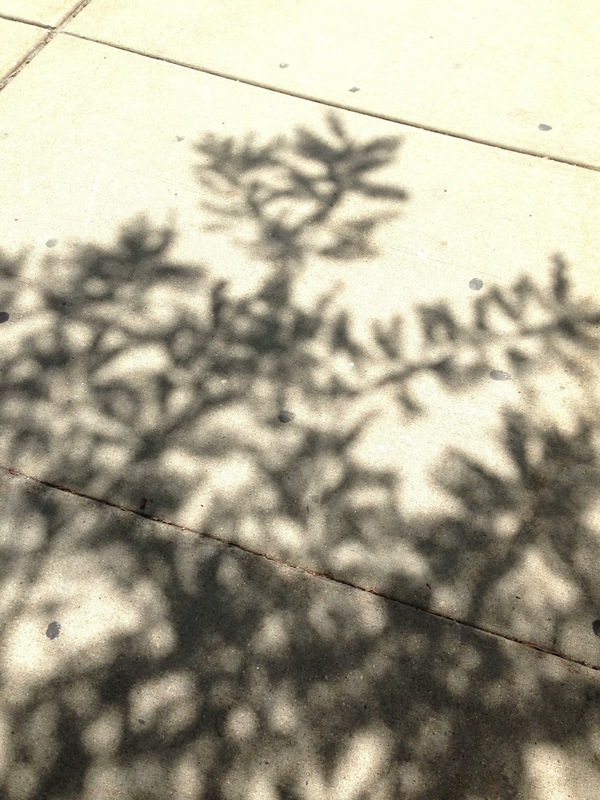 If you have a garden this year, how is it doing? Ours has been thriving, thanks to humid weather and lots of rain. I can't wait till these guys turn red so we can make salsa and bruschetta! And I am looking forward to picking these so we can add them to salads. To make room on the pepper plant, Craig picked a green one earlier this week. I wanted it to keep growing and turn red. 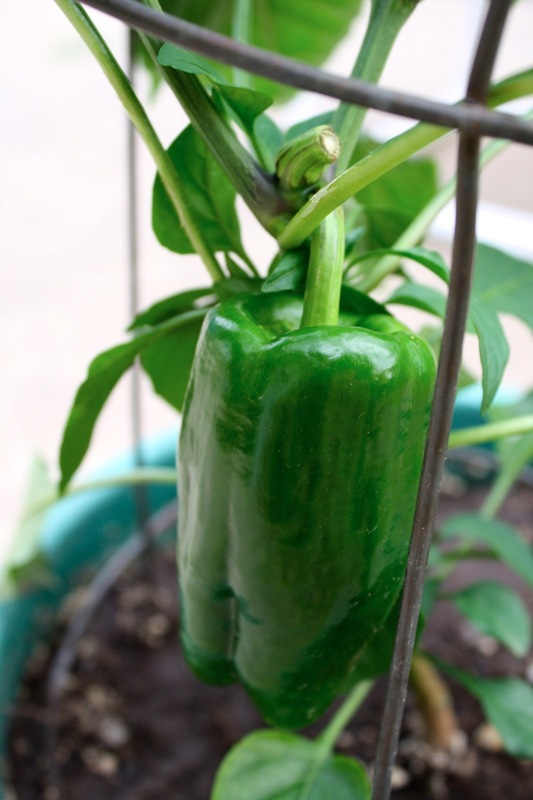 :( I'm not a big fan of green peppers, more because of how they react with my digestive system vs. how they taste. The one concern I have is that we won't get any strawberries this year. This plant was supposed to provide us with fruit in June. 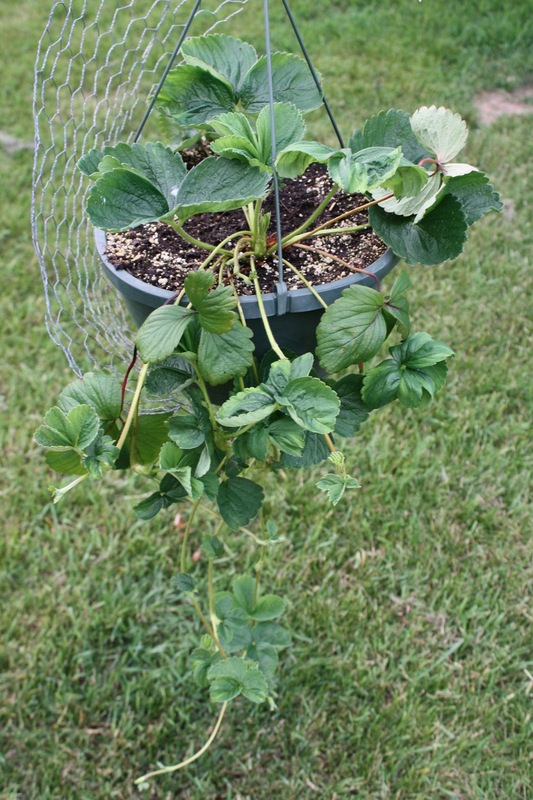 Anyone else had bad luck with their strawberry plant so far? I hope our garden continues to do well and love the weather we are having this summer!